Conceived and conceptualized by its CEO, K.N.Balaraman, a businessman of repute and long standing at Thrissur in 2005, Krishna Homes in these short 7 years have carved a niche for themselves in the industry. Known for his high integrity in all his previous business endeavors, Balaraman has succeeded in percolating this virtue down to his team at Krishna Homes as well. Testimony to this is the fact that Krishna Homes never felt the need to advertise any of their projects. Whenever a new project is announced, the first booking are made by friends and relatives of our satisfied customers. We rely more on 'the word of mouth' than a media blitz. Our architects and design engineers are a blend of youth and experience, which ensure change with continuity. 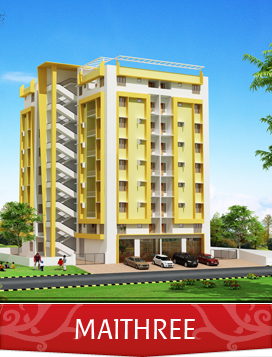 That has made Krishna Homes the preferred choice of the discerning customer. To get more information about our projects, feel free to call +91 93495 13343 or walk in to our office during working hours and our sales team will be at your service.